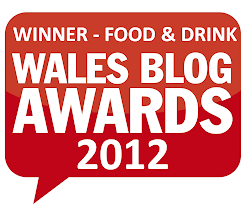 Cen at the Celtic Manor is the first restaurant from Masterchef 2013 finalist and Cardiffian Larkin Cen. Following the recent demise of his high-end takeaway Hokkei, it’s also now the only place to eat his cooking. 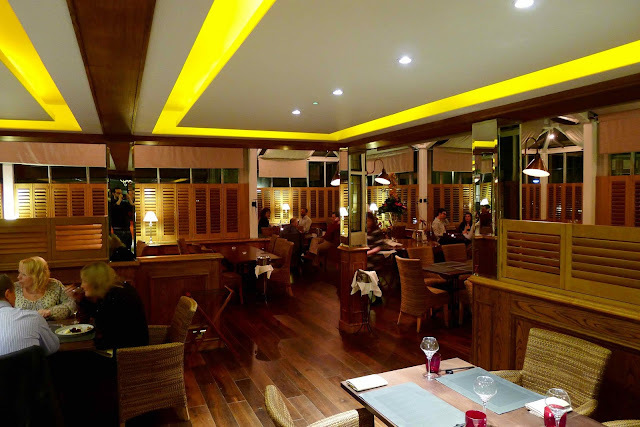 Located in the old Manor House part of the Celtic Manor, the former Patio restaurant has been given a stylish colonial overhaul thanks to the presence of wooden shutters, rattan furniture and moody lighting. 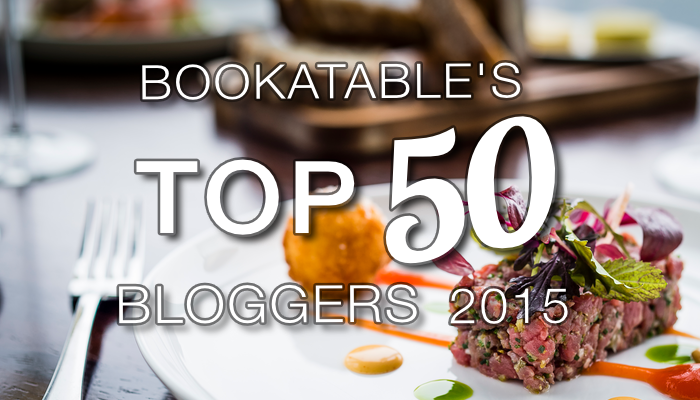 The menu meanwhile is packed full of pan-Asian classics with a cheffy twist; think seabass with tiger prawn won ton and lemongrass consommé or asparagus tempura with 55°C egg. The Asian influence is also felt on the extensive booze list which includes a selection of sakes and Japanese whiskies. 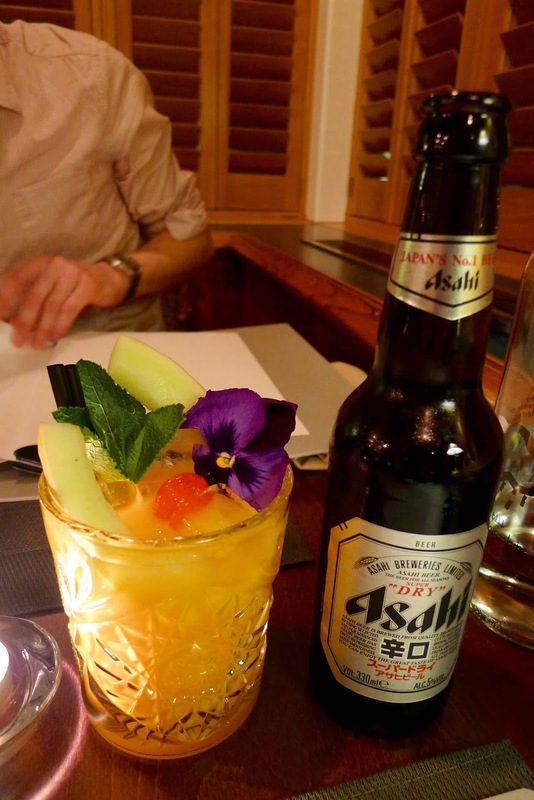 I drank a couple of bottles of Asahi (£4.60) whilst Jim quaffed a Samurai’s Surprise mocktail (£5.95), an enjoyably exotic mix of orange, mango, coconut, lime and tabasco. 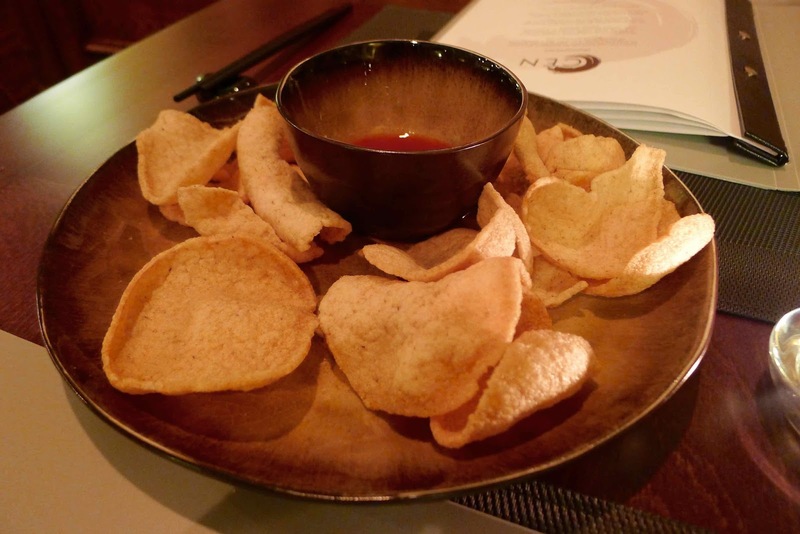 Crisp and grease free prawn crackers served with sweet chilli sauce kicked things off. A selection of uber-trendy Taiwanese bao feature on the starters menu. 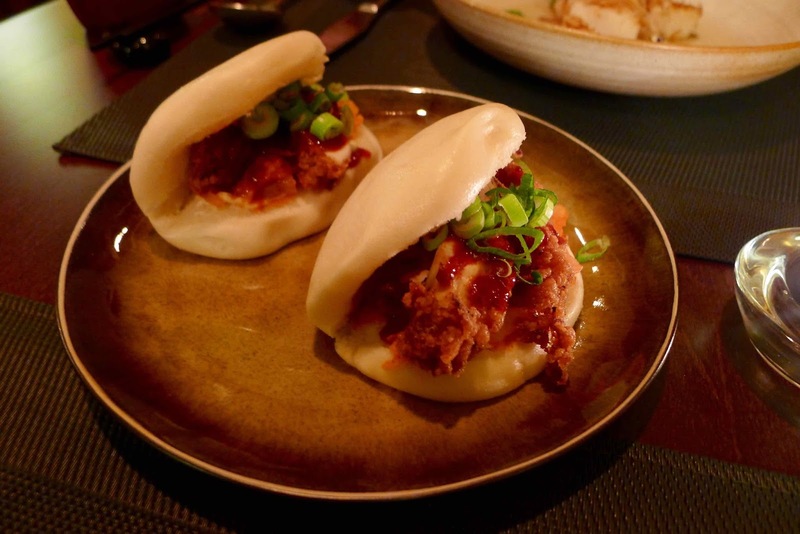 A pair of Korean chicken bao (£7) were bloody lush. The pillow soft buns, crispy breaded chicken, fizzy kimchi, citrusy yuzu mayo and fiery sriracha all combined with effect. I’d go back just to work my way through all the different varieties. 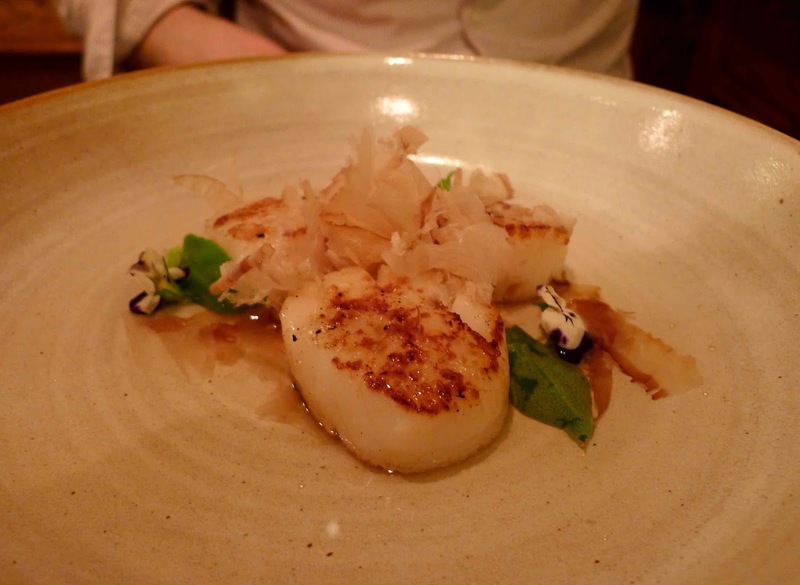 A trio of golden and delightfully tender scallops (£8.50) were served with bonito flakes and a porky pancetta dashi broth. The flavours all worked well together and you get a good amount of scallop for your buck, but the broth was a bit tepid. 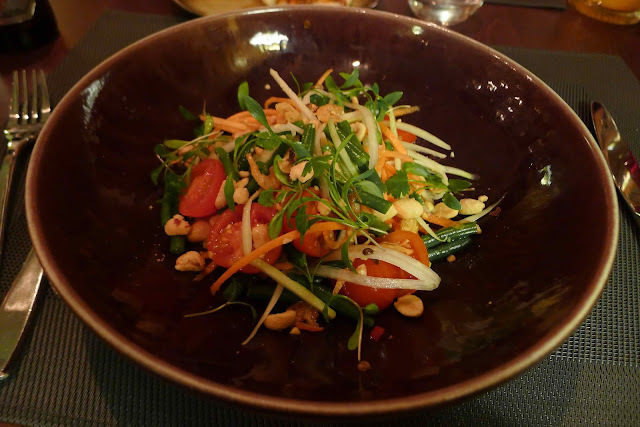 Som Tum salad (£7) combined the fresh flavours of green papaya, al dente green beans, cherry tomatoes, crisp peanuts and dried shrimp bathed in a vibrant citrus and fish sauce dressing. It did, however, lack the whallop of chilli I usually associate with this dish. Onto mains, where we eschewed the awesome sounding sharing dishes - Peking duck (£68), Welsh beef sirloin with black bean jus (£68) or Korean Fried Chicken (£40) anyone? Whilst the starters seem good value, the average price of a main (£25) seems way more expensive. 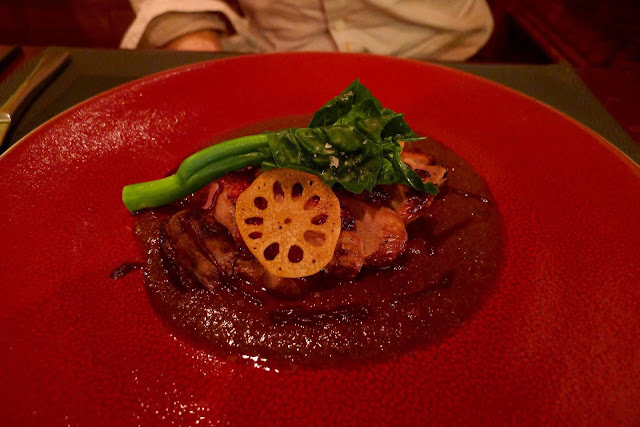 Duck tamarind curry (£24) combined well-flavoured pink duck breast with Asian greens and a deep-flavoured curry sauce twanged with tamarind and coconut. 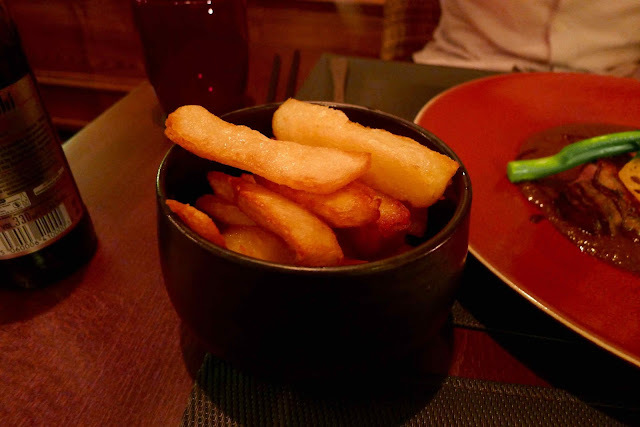 Accompanying triple cooked chips were crisp, fluffy and swoon-worthy when dipped in the slightly sweet curry sauce. 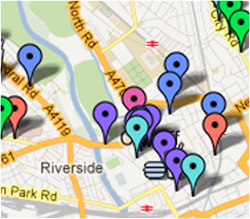 It's unquestionably a cut above your average chips and curry sauce from Chippy Alley. 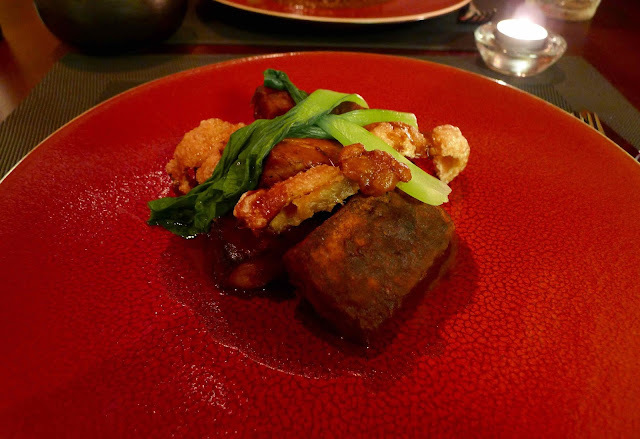 Across the table, a couple of slices of crisp and yielding Hakka style pork belly (£24) were coated in a glaze heady with five spice and soy. 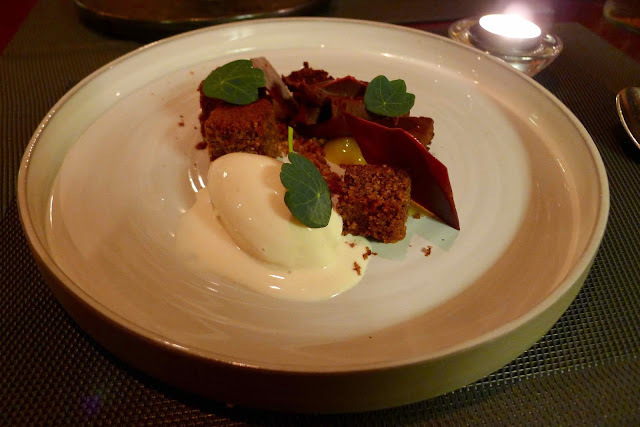 Accompaniments of puffy crackling and Asian greens were on the nail but a pair of dense, starchy and sweet yam fondant bricks were pretty unpleasant. 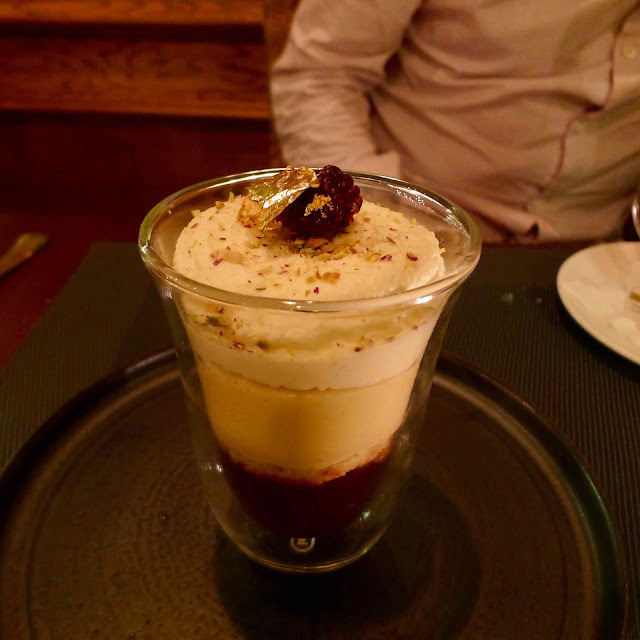 For dessert, an interesting take on a trifle (£8) incorporated blackberries with pistachio sponge and and roasted pistachios. The generous portion could have been a touch lighter - the cream was slightly thick and the jelly a little over-set. I ordered the chocolate (£7). The deconstructed pud saw an artful arrangement of smooth and rich chocolate ganache, creamy malted ice cream, tangy mandarin gel and wafer thin chocolate brittle. Nutty chocolate sponge and a firm chocolate truffle didn’t add much to the plate. 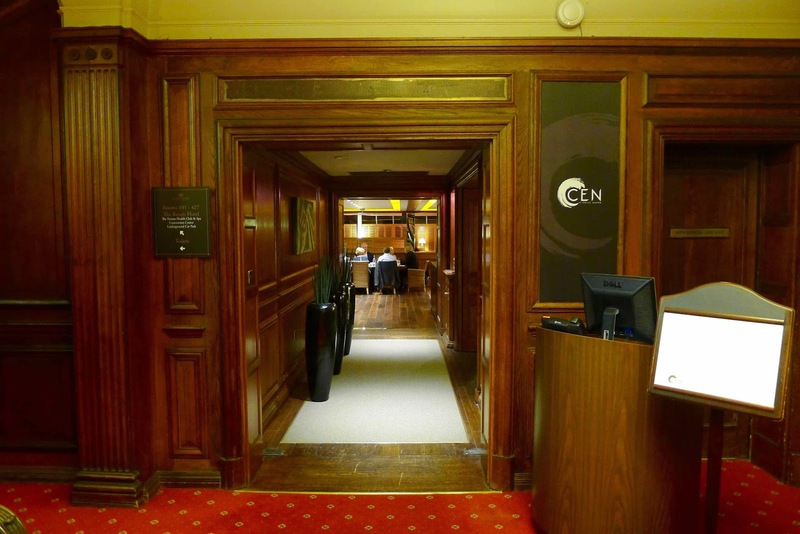 I really enjoyed dinner at Cen and it’s certainly bringing something different to the dining options at the Celtic Manor. 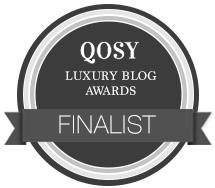 I’m sure the menu will be refined over the coming weeks (the yam dish has already been ditched from the menu) to improve things further. Disclosure - I was invited to Cen, all food and drink was complimentary.